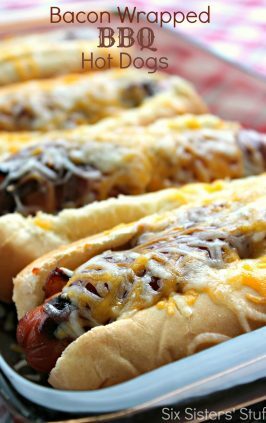 Take your cookout to the next level with these loaded hot dogs! 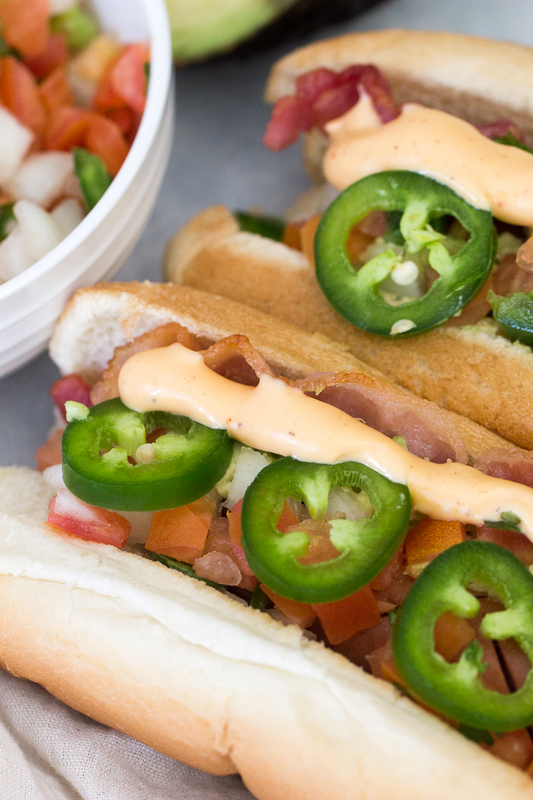 We topped ours with bacon, avocado, jalapeno, pico de gallo, and of course chipotle mayo. 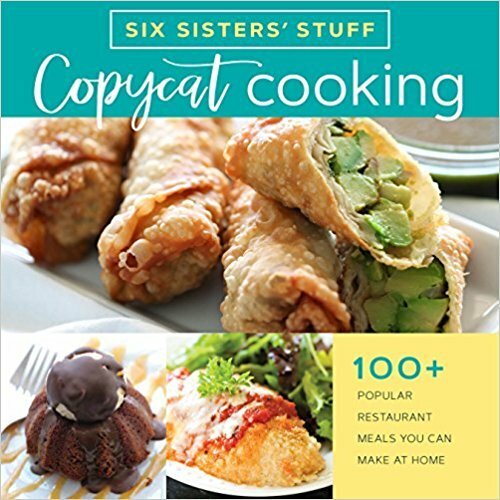 It's full of flavor and a sure to WOW any crowd! 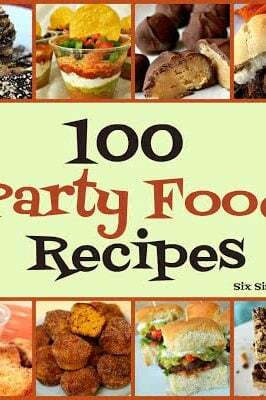 Sometimes the same hot dogs and hamburgers for every cook out gets a little old. 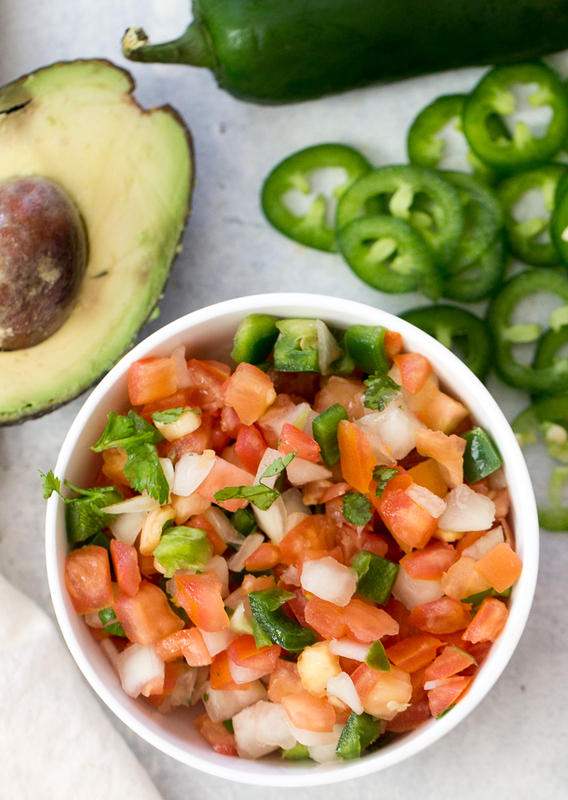 We’re spicing up your next BBQ with a dish that’s sure to wow any crowd! If this isn’t considered a hot dog, I don’t know what is! 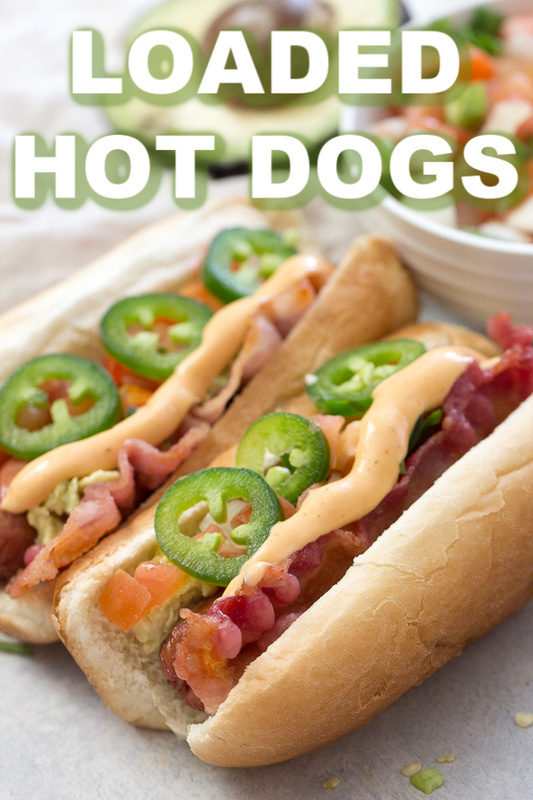 We had so much fun putting together these loaded hot dogs with all of our favorite toppings, and we can’t wait to do it again. 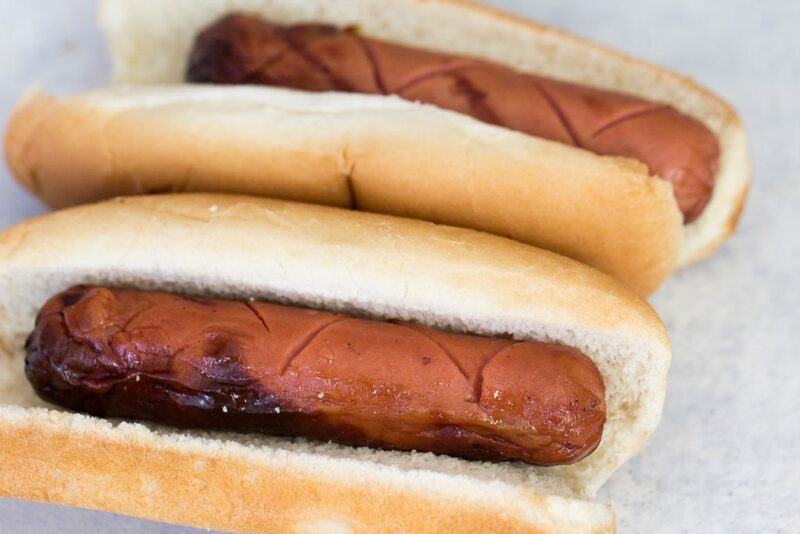 You’ll be surprised at how fast hot dogs cook on the grill, and how much more delicious they are compared to boiled or baked hot dogs. Here are some simple directions to get perfectly grilled hot dogs each and every time. Heat up your grill to medium temperature, making sure it’s not too hot or you will scorch your dogs on the flames. Place your hot dogs on the grill, but DON’T walk away! To avoid them from burning you’ll need to stay nearby to rotate them. Rotate your hot dogs every 30 or so seconds making sure they don’t scorch. Rotating will also give your hot dogs perfect grill marks. Once your hot dogs start to expand, they are done. This usually takes 5-7 minutes. If you like your buns a little toasted, butter them and place them face down on the grill for a few minutes too. 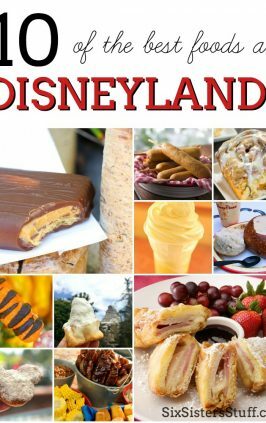 You can’t go wrong with a good hot dog and bun! You can really dress up your hot dog with just about anything. 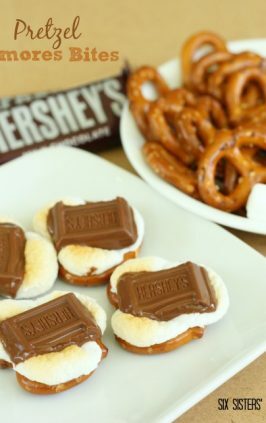 We added a few of our favorites, but here’s a list of toppings we think would taste AMAZING! Dinner is taken care of, but what about the sides? 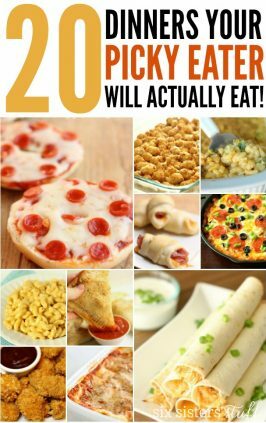 Here are a few of our favorite potluck sides! 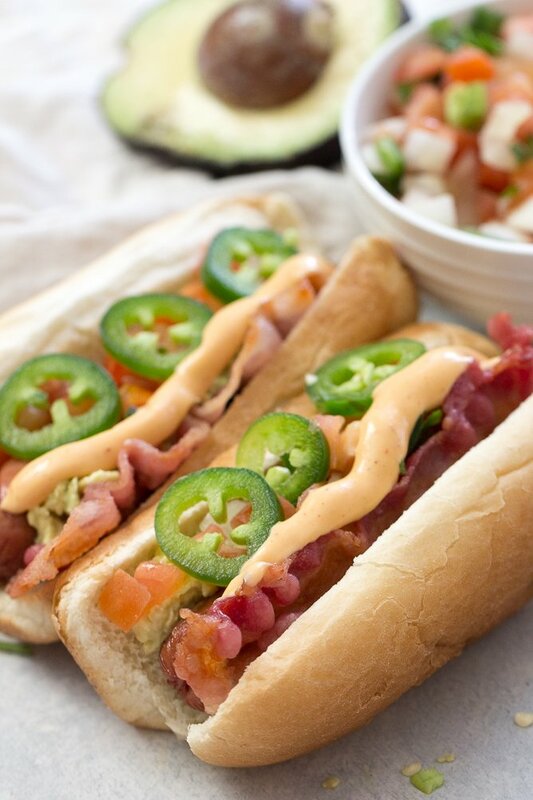 Avocado, bacon, tomato, onion, jalapeño, colby jack cheese and chipotle mayo take these loaded hot dogs over the top. Bring on the summer BBQs! Grill or microwave each hot dog until cooked thoroughly. In each hot dog bun, sprinkle an even amount of shredded cheese. 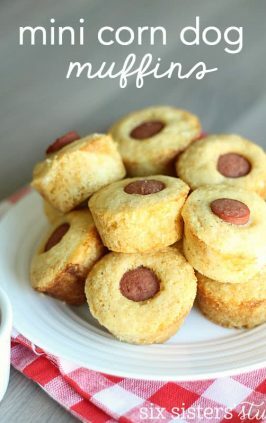 Top with a hot dog, then tuck a piece of bacon next to each dog. 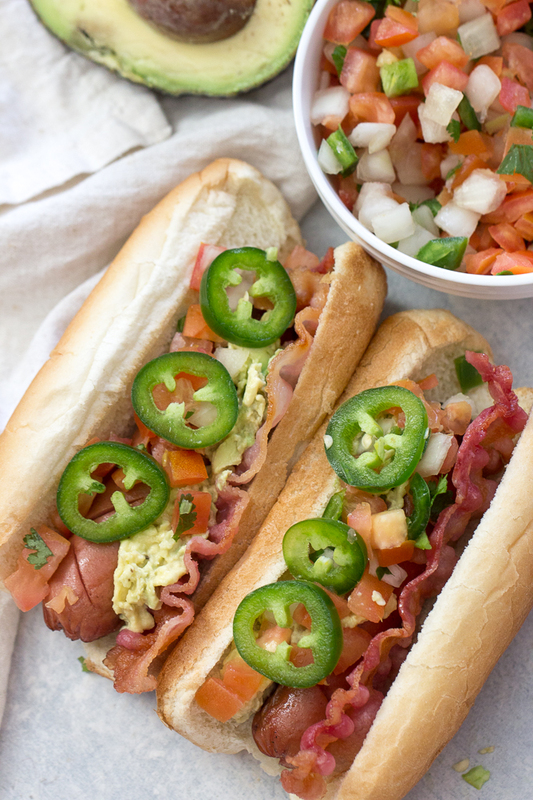 Top each dog with pico de gallo, 1-2 slices of avocado, and Jalapeño slices. In this video we’re making another great potluck side, Loaded Broccoli Salad!